For a summary of RAG's activities, see the bottom of this page. The Railway Action Group (RAG) was formed in March 2015 as a result of Network Rail appearing to have breached the law (Section 85, Countryside and Rights of Way Act 2000) when it started to install its standard electrification design through the Goring Gap, a beautiful valley in South Oxfordshire, causing a major adverse visual impact on this highly protected landscape. ​The law says that bodies like Network Rail should have 'regard to conserving and enhancing the natural beauty of Areas of Outstanding Natural Beauty (AONBs)', but it has not provided any evidence that it has made any significant effort to comply with the law and its 'duty of regard'. It did not commission a special design of electrification which is less visually obtrusive than the new standard design it is currently installing, nor has it modified existing overhead systems which are less visually intrusive to bring them up to current standards. RAG believes both of these options were possible but Network Rail choose not to do either. It simply choose to install the same design throughout the whole route from London to Bristol (ie Standard series 1 portal frames) and initally refused to mitigate its new design to minimise the visual impact where it passes through the Goring Gap and the Chilterns and North Wessex Downs AONBs, even though its own Environmental Statement states that electrification will have a major impact on the landscape. Still it continues, unabated, to install an environmentally inappropriate, one-size-fits-all design. However, NR has given RAG an undertaking to alter or replace the existing structures (with caveats) after it has tested the new electric trains. The Secretary of State for Transport, Patrick McLoughlin MP, said about Network Rail that the Great Western Line is a priority and they must 'get that right'. RAG does not believe Network Rail is getting it right and is challenging it to alter its design in just two miles of track where it passed through the Goring Gap. This website provides the background and evidence of the most devastating visual assault on the Goring Gap, described as a 'Jewel in the Crown' of the Chilterns Area of Outstanding Natural Beauty. The Goring Gap is a valley within two Areas of Outstanding Natural Beauty (AONB) and is unique in the UK for this reason. The purpose of this website and the short video is to provide information about the threat to the two miles or so of beautiful landscape running through the Goring Gap as a result of Network Rail’s design of the overhead electrification infrastructure. It is erecting the standard design used for the whole line between London and Bristol and Network Rail is taking no account of the fact that the Goring Gap is a highly sensitive environment with equal status in the planning system to a National Park (National Planning Policy Framework paragraph 155). The Railway Action Group (RAG), the producer of this website, is fully supportive of the electrification and modernisation of the Great Western Railway. Members of RAG are regular users of the service and are looking forward to the promised improvements in passenger experience and the reduction in carbon emissions and other benefits that electrification will bring. Electrification will also reduce costs, increase passenger capacity and shorten journey times. However, a balance needs to be struck when these objectives conflict with permanent landscape destruction as we are currently experiencing. It is RAG’s belief that this balance is not being struck. RAG is trying to get Network Rail to listen to public demands to improve its design of the electrification infrastructure, but at this late stage many other people believe this to be an impossible task. Some feel resigned to accepting that the devastating impact on the landscape and feel it is a fait accompli. However, members and the many supporters of the Railway Action Group (RAG) do not subscribe to this view. Network Rail has confirmed in writing to RAG that it will take remedial action if it is shown its has not met its obligations under the law. It would be a total waste of tax-payer's money if Network Rail and supporters of the RAG campaign had to go to the courts to establish whether or not the law has been broken. If the law found in favour of RAG's contention that Section 85 had been breached, the costs involved for Network Rail and the disruption to passengers to modify the design after it had been completed would be massive. RAG very much hopes common sense will prevail and a suitable compromise can be found which will avoid such a calamitous situation occurring. How to Help pages. Thank you. What is RAG and who are its members? The Railway Action Group (RAG) is the collective name for a group of local residents, conservationists and others from Goring-on-Thames and neighbouring South Stoke, South Oxfordshire, who became increasingly concerned when they started to see the electrification infrastructure being installed in the Goring Gap. RAG formed in March 2015, as soon as it became evident that the electrification was far more damaging to the landscape that anyone had imagined it would be. John Howell, MP for Henley, supports the aims of RAG and has attended meetings with RAG and Network Rail and written to its executives and to the Secretary of State for Transport to add to the effort for a design change and improved consultation. Residents, parish councillors and conservationists, alike, all assumed that the local planning authority, South Oxfordshire District Council (SODC), had seen and approved the design plans in 2012/13 when the modernisation of the Great Western was first discussed. This was when they were asked to comment on the Environmental Statement produced by Atkins (a design, engineering and project management consultancy), who were commissioned by Network Rail to assess and report on the impact electrification would have on the environment throughout the 118 miles of track between London and Bristol. The final design plans were not completed until December 2014 and therefore very few people, including the local authorities and conservation boards, had seen them by the time the installation started in March 2015. The Chilterns Conservation Board (CCB) is the public sector statutory body charged with the protection of the Chilterns AONB. CCB spent a great deal of effort commenting in detail on the concerns it had with the prospect of a metal corridor running through the AONB and what mitigation would be required to minimise the visual impact on the landscape. It was promised by Atkins/NR in 2013 that ‘at the detailed design stage’, Network Rail would undertake specific consultations with the Chilterns AONB and North Wessex Downs AONB to discuss and agree mitigation measures. No such consultation took place and Network Rail has since admitted its failure in this respect. The 3 volumes of the Environmental Statement are available in ‘Documents & Links’. In the Environmental Statement on page 30 [19.4.1], it states ‘General landscape and visual mitigation measures have been identified in Volume 1A. No mitigation measures specific to impacts relating to South Oxfordshire have been proposed at this stage. At the detailed design stage, specific consultation will be undertaken with North Wessex Downs AONB and Chilterns AONB to identify suitable mitigation measures’. ‘The Board understood that it would be consulted at the detailed design stage in order to identify suitable mitigation measures (see paragraph 19.4.1 of the Great Western Main Line Electrification Project Environmental Statement: Volume 1B South Oxfordshire District Council). As far as we are aware this consultation has not taken place and the Board is very concerned that overhead gantries are now being erected within the Chilterns AONB. These have a significant detrimental impact on the landscape of the AONB and the Board would like to see them removed and replaced with a much less visually intrusive alternative. - Ian Reay, Chairman of the Chilterns Conservation Board to Mark Carne, CEO of Network Rail, an extract of an email to Network Rail on 25 March 2015. “Your comments regarding consultation are wholly understandable and I offer my profuse apologies that we have fallen short of this requirement on this occasion. To explain, the final design was approved for construction in December 2014, and this compounded by the fact that we are working in an ever accelerating programme, has sequentially led to this oversight on our part.” - Richard Turner, Community Relations Manager, Western Communications, Network Rail. It was clear at this point that action was needed by other people to support CCB to halt the unremitting progress Network Rail was making in installing an electrification system throughout the AONBs. It must be assumed that no council (SODC), nor conservation authority (AONBs), would have approved the designs had it been given an opportunity to see the detailed designs (available only in 2015), which are now being installed. Within weeks of becoming an action group, RAG asked Network Rail for a public meeting to allow residents and local councils to voice their concerns about the lack of proper consultation and the installation of particularly heavy and visually intrusive infrastructure with the Goring Gap. A date and venue for the meeting was arranged in South Stoke Village Hall and invitations were sent out for 15 April 2015 (Poster in ‘Documents & Downloads’). Two days before the meeting, on 13 April, the meeting had to be cancelled due to Network Rail pulling out. RAG immediately wrote to Network Rail to convey its bitter disappointment that it had refused to meet with the people most affected by the installation (letter to NR in ‘Documents & Downloads’) and the concensus of the public was that it was a ‘Network Rail PR disaster’. RAG immediately requested another meeting, but this time only with members of RAG, as it was clear Network Rail was not prepared to expose its plans and be questioned on them by the local public. The first of 2 meetings in Goring Parish Council offices occurred on 6 May 2105 and a follow-up meeting there on 15 July 2105. 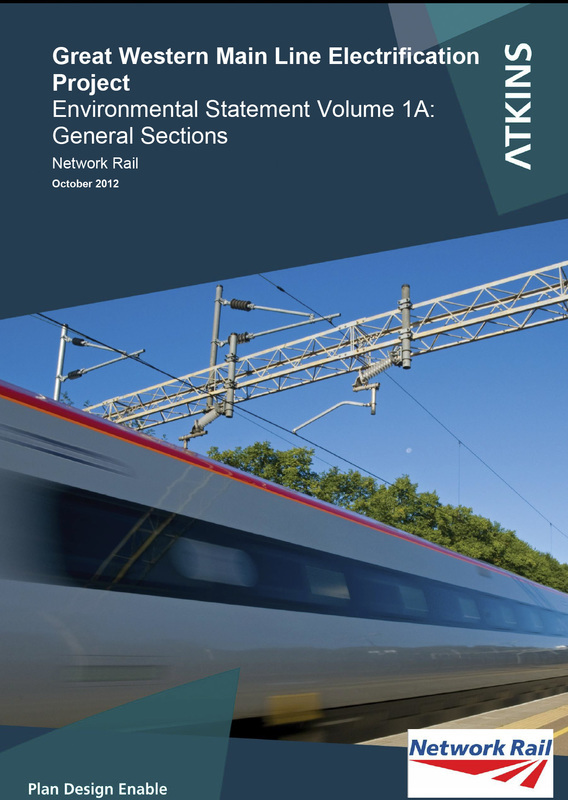 (The minutes, approved by Network Rail, and the attendees at each meeting are available in ‘Documents & Downloads’). After requesting another meeting after Network Rail cancelled the first one, it has recently agreed to hold a 'Drop-in event to allow local residents to have a one-to-one dialogue. RAG again requested a proper public meeting but this was denied. The date for the Drop-in is 23 October 2015, to be held in South Stoke village hall between 12.00noon and 8.00pm. RAG requested a second event in Goring, bearing in mind that South Stoke's hall is much smaller than Goring Village Hall and the majority of residents affected live in Goring. Also, most people would have to drive to South Stoke where parking is problematic and that Friday evening is a time when many people go out and therefore is not a sensible choice of time and place if Network Rail's real objective is to engage with as many people as possible. With the difficulty in obtaining relevant information from Network Rail, RAG submitted several Freedom of Information (FoI) requests to NR. We were particularly interested in know if NR had considered the landscape with AONBs of such importance that it commissioned a specific electrification design for AONBs which would be appropriate for highly sensitive environments which would impact the least on the natural beauty of The Goring Gap. We still await a response. (Content of RAG’s FoI requests are available in ‘Documents & Downloads’). In addition to formal FoI requests, RAG submitted 14 specific questions about NR’s policy and received a response on 21 May 2015 (available in ‘Documents & Downloads’). Following the ‘Drop-in’ event in South Stoke organised by Network Rail on 23 October, when about 700 local residents took the opportunity to voice their views on the electrification design (see News page), RAG members met on 5 November to discuss their next steps in the campaign. 1. Continue to firm up the legal case against NR by looking at Sect 85 of the CRoW 200 Act, NR’s ES and its Permitted Development Rights etc. RAG’s legal working party to review, produce briefing note, review with CCB, NWD AONBs and other conservation groups – use output to review with local authorities and further challenge NR if inconsistencies are found. 2. Broaden the campaign by including offset Parishes from all of the AONBs stretch and by seeking contact with other interested parties. Develop associate/satellite groups (linked to us as the core group) in line-side and other affected villages in the 2 AONBs (e.g. Cholsey, Moulsford, Lower Basildon, Pangbourne, Purley etc). Prepare Briefing Note and Presentation to send to PCs for them to use at their meetings. 3. Prepare to ramp up the media campaign in order to maximise publicity for the launch of the formal consultation process, currently scheduled for January 2016. Aim for a significant increase in petition signatures to >10,000. Also continue to seek ties to environmental groups to spread the website and petition. Set up Twitter account, publicise it and keep current. 4. Seek alternate designs from the more experienced engineering fraternity of our campaign followers – send these to NR asking them to be considered or given a reasonable explanation of why they might be unworkable. 5. For the Consultation Process, contact NR expressing our concerns about their organisation of the Consultation process held in South Stoke Village Hall and the Formal Consultation due in January. They need to address a) the lack of consideration of access for the public, b) the lack of signage to the meeting location, c) insufficient advertising of the event and the short notice and d) the lack of suitable access and facilities for the disabled and the elderly (following complaints to RAG). 6. Ensure NR includes the estimated cost of retro-fitting a new design along the c.19km within the AONB into the new budget projection NR/Peter Hendy is compiling (as stated by Mark Carne when giving evidence to the Government’s Public Accounts Committee on 21 Oct 2015 (http://parliamentlive.tv/Event/Index/aa3aea0c-ac91-4d41-ab2d-bfa2337a7e83). This will apparently be a more accurate forecast for project completion than previous attempts. It is considered likely that if the retro-fit cost is not specified in this new budget, NR will have wriggle room to delay completing the retrofitting programme and may require instigation of legal action to ensure it is actioned. 7. Find the best estimate of the number of train movements through the Goring Gap which will eventually be electrified, e.g. the number of freight trains and non-high speed trains compared with the new Hitachi ones. At present the perception is that eventually no trains will be diesel and everything will be quiet and non-polluting etc. This is not the case and the true picture needs to be made clear to all. Reported NR to the Police regarding a possible breach of The Wildlife and Countryside Act 1981 when RAG saw and videoed barn owls emerging from a drain hole at dusk on the Gatehampton Viaduct where significant installation works were starting. NR had not established the owls were not 'nesting'. About 700 local residents attended the 'Drop-in' event in South Stoke organised by Network Rail.